Significant Progress in Lithium - Tellurium Battery System Technology Demand for Tellurium Will Increase - Changsha Santech Materials Co., Ltd. According to foreign media reports, many researchers are currently committed to developing more energy-efficient batteries for electric vehicles. Some researchers said that they have made significant progress in the field of lithium - te battery systems. The researchers wrote in the report: " After 1000 times of charging and discharging, the specific capacity of this battery is extremely high and its energy efficiency is 100%." Up to now, the standard battery for electric vehicles is still lithium ion battery. However, many new battery companies are upgrading the current lithium battery technology or using new materials to create better vehicle batteries. The Financial Times announced in a recent report that venture capital firms have invested more than US $ 1 billion in research and development projects for car batteries, aiming to develop advanced technologies such as lithium ion structures, new materials and solid-state batteries with better performance. The emergence of high-performance lithium-tellurium battery system is an important technological discovery. We have paid attention to many researches on tellurium application, and the prospects of such researches are good, aiming at solving major technical problems and social problems. Recent research progress of lithium-tellurium battery shows that compared with the research results two years ago, this technology has made great progress. According to the latest report " 2018 - 2022 Global Tellurium Market" released by Research and Markets, the annual compound growth rate of tellurium consumption will reach 3% during 2018 - 2022.
" The company should not only consider the current technological development progress, but also consider the potential supply problems. 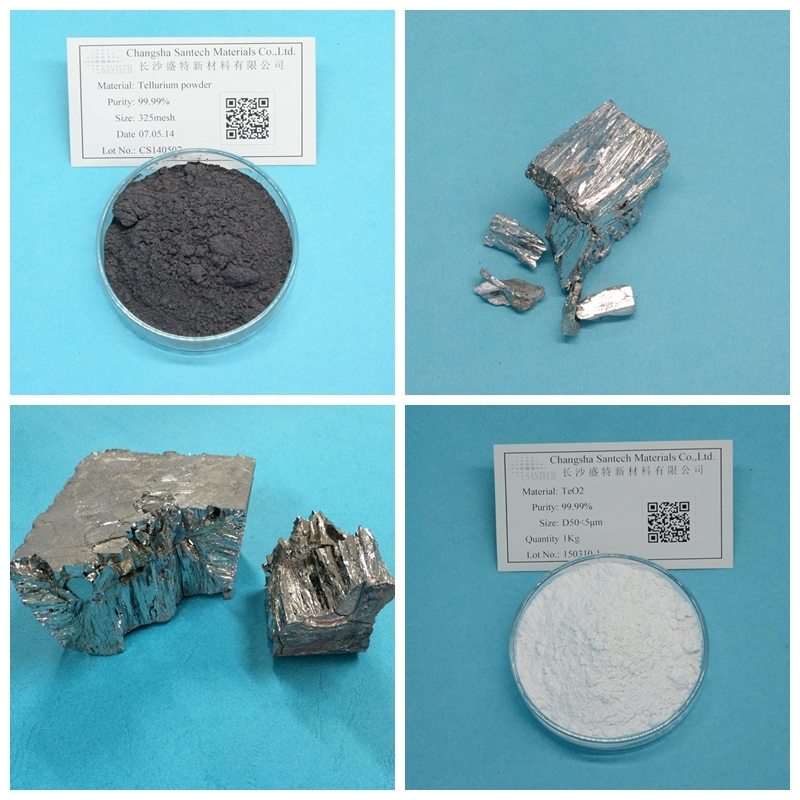 When copper refining technology is improved in the future, the supply of tellurium will also be greatly increased, and the demand for tellurium in the future market will be very high, which is one of the major reasons why our company continues to pay attention to China's high-grade tellurium projects. "